I don't think even the most rabid Strawbs fan (maybe not me, but I'm close, so I should know) would say these two albums represent the band's peak. That being said, there are still some fine tracks of music here. Sure they're a bit more mainstream than Grave New World, but "Turn Me Round" and "Simple Visions" surely rank among Dave Cousins' classics. To a certain extent, Deep Cuts is a formula Strawbs album: you get the regulation country rock song in "Charmer" (for which I've always had a weak spot); there's "Thinking of You," the old-timey song; there are a couple of dramatic story songs ("The Soldier's Tale" and "Beside the Rio Grande"), though oddly enough nothing over five minutes in length; and there's the tender love song ("So Close and Yet So Far Away"). 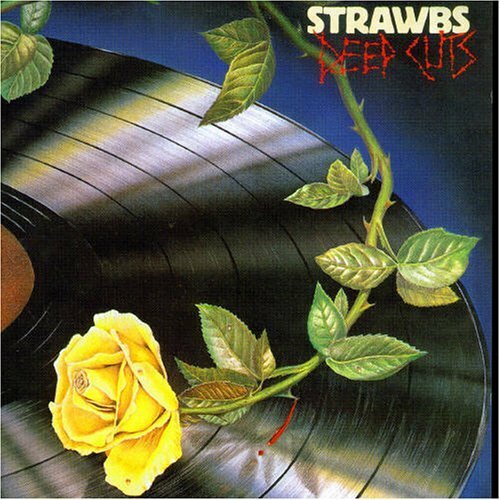 So I suppose your take on Deep Cuts comes down to how you feel about a formula Strawbs album. The reissue's bonus track, Dave Lambert's "You Won't See the Light," is a good if non-essential addition to the original. Skipping ahead a bit... After Burning for You and Deadlines, the band acquired a full-time keyboard player, Andy Richard, and got to work on their next album. On the down side, Dave Lambert chose this time to depart to work on a solo album, so Jo Partridge came in on guitar (replaced by Miller Anderson on a couple tracks). 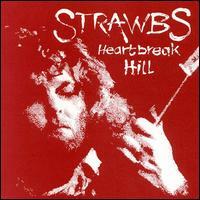 But before the album could be released, Strawbs were without management or label, and folded, leaving the tapes in the vaults. Musically, it's a bit of a return to form after Deadlines – while there is still a slick mainstream sound (partly due to the choices of keyboard sounds), there are three tracks topping the seven minute mark, and if none of them managed to enter the canon of classics, they're not throwaways either. Just good solid folk-rock tunes with a hint of prog to them, and a sure must for fans, though newcomers should start elsewhere, earlier in this illustrious career.